First you need to gather your ingredients. Preheat the oven and grease and flour a cake pan. 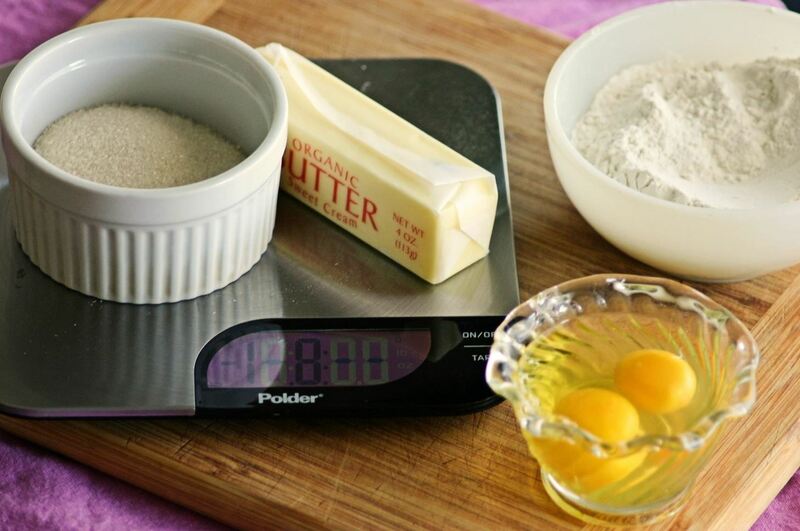 Place some butter and some sugar in a mixing bowl and mix them together until the mixture is light, fluffy and creamy. Add one egg at a time and mix the mixture in between. Keep mixing the mixture until the eggs are completely mixed in with the butter and sugar. Get an electric mixer, put it on low or use a spoon to stir the flour in, a little bit at a time until it’s just mixed in well but do not to over mix it. Use a spatula to scrape down the sides of the bowl and pour the cake mix into the pan. Bake the cake for 1 hour and at least 15 minutes. Then rotate the pan 180 degrees halfway through the cook time to make sure that the cake bakes evenly. Afterwards, when the cake is finished stick a toothpick in the center; it should come out clean. That’s how you make a cake!